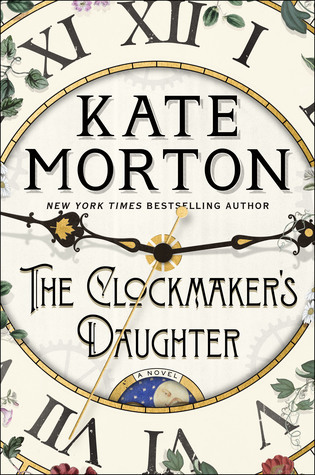 Goodreads says, "From the bestselling author of The House at Riverton and The Secret Keeper, Kate Morton brings us her dazzling sixth novel, The Clockmaker's Daughter My real name, no one remembers. The truth about that summer, no one else knows. In the summer of 1862, a group of young artists led by the passionate and talented Edward Radcliffe descends upon Birchwood Manor on the banks of the Upper Thames. Their plan: to spend a secluded summer month in a haze of inspiration and creativity. But by the time their stay is over, one woman has been shot dead while another has disappeared; a priceless heirloom is missing; and Edward Radcliffe’s life is in ruins. Over one hundred and fifty years later, Elodie Winslow, a young archivist in London, uncovers a leather satchel containing two seemingly unrelated items: a sepia photograph of an arresting-looking woman in Victorian clothing, and an artist’s sketchbook containing a drawing of a twin-gabled house on the bend of a river. Why does Birchwood Manor feel so familiar to Elodie? And who is the beautiful woman in the photograph? Will she ever give up her secrets? Told by multiple voices across time, The Clockmaker’s Daughter is a story of murder, mystery and thievery, of art, love and loss. And flowing through its pages like a river, is the voice of a woman who stands outside time, whose name has been forgotten by history, but who has watched it all unfold: Birdie Bell, the clockmaker’s daughter." 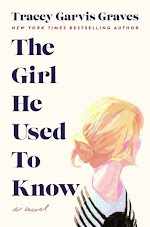 Guys, it's always exciting when Kate Morton has a new novel coming out. I absolutely adored The Distant Hours as well as The Secret Keeper; I've been meaning to read more of books! Are you a fan of Kate Morton? Which books of hers is your favorite? If you haven't read any of her novels, do yourself a favor and add them to your TBR list! What do you think of this one? 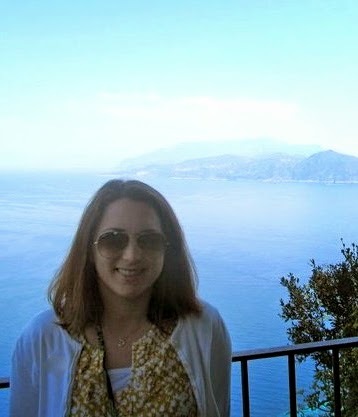 I LOVE Kate Morton!! I am so excited she is finally coming out with a new book. I've been watching her progress on Instagram - already pre-ordered my copy! Me too! I am SO EXCITED to read it. She never disappoints. Thanks for dropping by, Angela. I haven't read any of her novels yet, although I do have them on my wislist. Sadly, too many books, so little time time. I hope you enjoy her new book. I hear you. I have the same problem. She is a fantastic author though and shouldn't be missed if historical fiction is your thing. Thanks for dropping by Tania. I love all her books, but Secret Keeper is my favorite. Like you, I can't wait for this one! I loved Secret Keeper! I'm glad you agree. Thanks for visiting. This is a great pick, it sounds like it is going to be an amazing read. Thanks, Jenea. I am excited! Thanks for visiting. This one is on my list as well. So glad to see a new book by her. My favorite is probably The Forgotten Garden. Ohh! I haven't read The Forgotten Garden, but hope to. I loved The Secret Keeper. Thanks for visiting, Kay. I love the sounds of this one. On to the wishlist it goes! I'm glad you agree, Barb! Thanks for visiting. Greg, I am just seeing comments now! Blogger went haywire. I wasn't getting notified that I was receiving any comments. They were all in my spam folder. Ugh! So sorry if things were wonky. I appreciate you visiting! This one looks really good--I need to pick up a few of her books, they always looks like such interesting stories! Yes, if you like historical fiction, Kate Morton shouldn't be missed! Thanks for visiting!